The Challenge Pépite 2017 took place on 1st February, and the Groupe Roullier decided to take part. The aim of this challenge is to allow “student entrepreneurs” to present their projects to the companies involved. 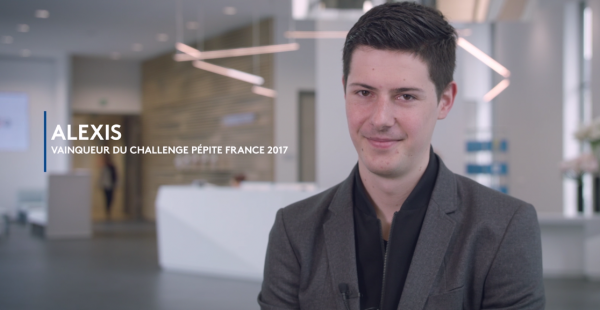 The Challenge Pépite France 2017 was held at the Salon des Entrepreneurs in Paris at the beginning of the year. The principle of this challenge is simple: choosing from a list of topics decided on by the companies, candidate students can submit their projects via video. The selected project holders then had the opportunity to present their projects at the Salon des Entrepreneurs to a jury of professionals. For us, Groupe Roullier, the objective is twofold: it allows us to get closer to students and form real relationships with them, and to spot projects that match well with our expertise. Since we are involved in Animal and Plant Nutrition with algae at the heart of our research, it is therefore quite natural that our proposed topic was “Productive organic farming, biocontrol, rational fertilization, the digital field, and agricultural supplies,” with a collaboration between the student and our teams of researchers on top of that. It was therefore with great interest that we chose the spirulina* spread project belonging to Alexis Lesly-Veillard, a student at the École d’Ingénieurs de Purpan engineering school in Toulouse. During his visit, the challenge winner had the opportunity to meet the R&D managers from the Centre Mondial de l’Innovation Roullier and our algology experts in Pleubian, with whom he discussed the future and the follow-up to his project. View photos from this great collaboration! * micro-algae considered a super-food because of their high protein, iron, beta-carotene, vitamin, mineral, and trace element contents.